PT Adhi Persada Properti - APP or later known as Adhi Persada Properti is a rapid growing construction services company in Indonesia with core business competencies in property developer industry. Adhi Persada Properti operates primarily as a high rise building and property developer. Its projects including apartments, condotels and ofﬁce towers. PT Adhi Persada Properti is a directly-owned subsidiary company of PT Adhi Karya (Persero) Tbk (ADHI Group), one of the largest state-owned general construction company in Indonesia. 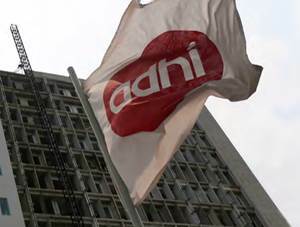 PT Adhi Persada Properti is majority owned by ADHI Group. As of December 2016, PT Adhi Karya (Persero) Tbk holds 99.7% of the Company's shares. PT Adhi Persada Properti was first established in 2002 as PT Adhi Realty. The name of PT Adhi Persada Properti was officially launched in 2012. In term of financial performance, Adhi Persada Properti ucceeded in posting excellent financial performance in 2015. According to PT Adhi Karya (Persero) Tbk Annual Report 2015 as cited by JobsCDC.com, PT Adhi Persada Properti booked total assets of Rp 3,184.96 billion in 2015. This number is up 122.25% growth from Rp 1,431.66 billion in 2014. Minimum Associate Degree (D3) in Accounting. Required experience for minimum 2 years in the field of Accounting. Able to create taxation report. Placement in Site Project - Grand Dhika City Apartment Jatiwarna Bekasi : Preferably domiciled in Bekasi, East Jakarta and its surrounding area. Minimum Associate Degree (D3) in any field. Able to analyze and evaluate property activities (promotion planning, event handling). Familiar with Microsoft Excel functions and formulas. Familiar in handling customer complaints. Minimum Associate Degree (D3) in Engineering. Able to make RAB and its analysis. JobsCDC.com now available on android device. Download now on Google Play here. Please be aware of recruitment fraud. The entire stage of this selection process is free of charge. PT Adhi Persada Properti - Recruitment D3 ADHI Karya Group February 2018 will never ask for fees or upfront payments for any purposes during the recruitment process such as transportation and accommodation.